This ICNC Academic webinar took place on Tuesday, October 7, 2014, and featured Michael Davis, Professor, Faculty of Law, University of Hong Kong; Victoria Tin-bor Hui, Associate Professor of Political Science, University of Notre Dame; and was moderated by Dr. Maciej Bartkowski, Senior Director, Education and Research, ICNC. This webinar analyzes the unfolding “umbrella revolution” in Hong Kong. International media have reported on how hundreds of thousands of Hong Kong protestors have maintained nonviolent discipline and order. International observers see images common to nonviolent movements around the world: strength in number, determined faces in front of riot police, slogans, songs, and more. Beneath such broad strokes of similarities, Hong Kong is unlike other cases given the constitutional structure of “one country, two systems” agreed to between Beijing and London. While Hong Kong has only semi-democracy, people are free to protest. While the police sometimes make arbitrary arrests, the independent judiciary inherited from the colonial era routinely releases activists. This constitutional structure presents a very open political space unseen in the rest of China and yet makes it difficult for activists to mobilize the largely contented population. Against this backdrop, the unprecedented use of riot police and the firing of tear gas seemed to have galvanized popular support for the protesters fighting for genuine democracy and increased sympathy for their nonviolent actions. Michael C. Davis, a professor in the Law Faculty at the University of Hong Kong, has held visiting chairs at Northwestern University Law School (2005-06) and Notre Dame Law School (2004-05), as well as the Schell Senior Fellowship at the Yale Law School (1994-95). His publications include Constitutional Confrontation in Hong Kong (1990), Human Rights and Chinese Values (1995) and International Intervention: From Power Politics to Global Responsibility (2004), as well as numerous articles in leading academic journals in law and political science. 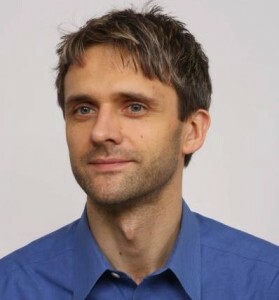 Professor Davis has as public intellectual contributed to the debate over constitutional reform and human rights in Hong Kong for over two decades. Victoria Tin-bor Hui, an Associate Professor of Political Science at the University of Notre Dame, researches the dynamics of international politics and state-society relations in historical China and Europe. She received her M.A. in 1997 and Ph.D. in 2000 from Columbia University. She is the author of War and State Formation in Ancient China and Early Modern Europe (Cambridge University Press, 2005) which won the 2006 Jervis-Schroeder Award from the American Political Science Association and the 2005 Edgar S. Furniss Book Award from the Mershon Center for International Security Studies. Dr. Hui also serves on the Academic Advisory Committee of the International Center on Nonviolent Conflict. Dr. Maciej Bartkowski is Senior Director for Education & Research at ICNC where he works on academic programs for students, faculty, and professionals, curricular development, and global academic and educational outreach and research in the growing field of civil resistance studies. He has taught short seminars or spoke about strategic nonviolent conflict, movement’s mobilization, nonviolent actions, civil resistance and democratization at various academic institutions around the world. Dr. Bartkowski is the book editor of Rediscovering Nonviolent History. Civil Resistance in Liberation Struggles and Nation-Making published by Lynne Rienner in 2013 that highlights relatively unknown stories of nonviolent resistance as part of the national struggles for self-rule and independence.